I'm not sure what to make of this thing.On one hand, I found it entertaining, especially how this totally normal guy gets out of trouble through sheer dumb luck and observational skills. On the other hand, there's not a whole lot of content. When I think about it, not a whole lot of anything really happened. Also, I'm not sure how I feel about the characters because there isn't a whole lot of anything on them, either.I think this one's gonna be one I'll have to read another volume or two before I can really pass judgement. 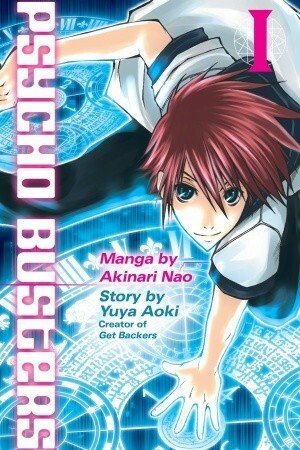 This was my first ever manga and I must say I will be reading more.Perfect for the beginning manga reader. REREAD BINGE.Best manga ever.Mwahahaha.Everyone is attractive in this manga. Not fair. I loved this volume. The story is fast but starts by giving us a nice foundation of who the heck Kakeru is. Then things start kicking into action and can I just say..... everyone in this thing is so beautiful!?!? Especially Jonoi? Did I mention how beautiful Jonoi is?Right now I just like the whole "Farmers" and "Prodigies" thing so much. I damn right am going to read the rest of the volumes. Kakeru is just a 15 year old boy with a boring life. But when he is left home alone, his life goes from boring to very unusual.It was a pretty fun manga. I liked the characters well enough and think the story is pretty interesting so far. The use of psychics and each having their own different powers is pretty cool too. Over all, it is a good start to a manga series that I think I'll enjoy. Really interesting...might read some more. The pacing is off, the characters' faces are too similar and the fan service is very in-your-face. The series gets a bit better after volume one, but never exceeds mediocre.